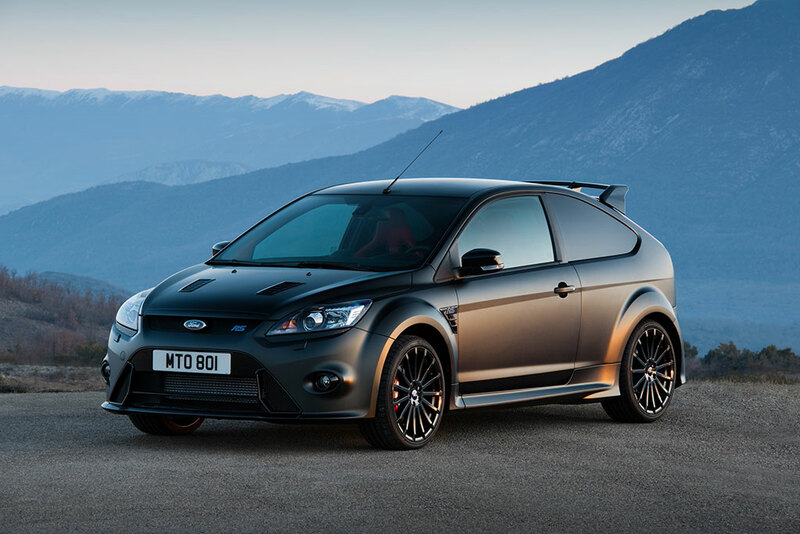 The Ford Focus RS500 was a one off model at the end of the production of the Focus RS. Twenty European countries were ear marked to have the pleasure of marketing them. The UK being one of them with 101 to be available, as soon as the car was announced, they were all sold and that’s before they were even built . The other 19 countries were a little slower ( something to do with the global melt down). The 101 UK cars plus Irelands 3 are all right hand drive, leaving the rest left hand drive. All of the RS500s were individually-numbered with a special metal plaque on the centre console. Ford UK have kept 001/500 to add to there collection at the Ford heritage centre in the UK. The Focus RS500 is totally sprayed black then has a 3M special foil film applied onto it making it matt black . With it engine up grade to around 340hp with a 0-100km/h of 5.6sec and a Max speed of around 265km/h, it is defiantly not a vehicle to truffle with.